Encouraging florists to be creative and a bit more tech-savvy, Santa Monica start-up BloomNation.com is trying to slow the wilting in an industry projected to lose one in five workers over the next several years. BloomNation announced Tuesday that investors have given the company an additional $5.55 million to expand its services while raising total funding to $7.2 million. Investors include Silicon Valley venture capital giant Andreessen Horowitz and Ronny Conway, the son of prolific angel investor Ron Conway. Consumers who visit BloomNation’s website enter their address to reveal pictures of arrangements posted by nearby florists. They can hunt for one they like, and then order it to be hand-delivered by the florist or someone hired by them. Buyers receive a photo before the item is delivered so they can verify it looks right. BloomNation charges a 10% commission. The system is a step up from online retailers such as 1-800-Flowers.com, according to BloomNation, because florists see a bigger cut of sales and they post possible arrangements themselves rather than designing to recipes. It forces them to compete on creativity and price, creating a win for consumers, the company says. Along the way, BloomNation is helping florists launch websites and giving them software to manage their operations. BloomNation doesn’t lock florists into a contract, and nothing prevents them from working with 1-800-Flowers.com or other services as well. But it it says some shops have told the company they eventually realized they didn’t need to work for anyone else. This past summer, 1-800-Flowers.com launched a “Local Exclusive” program that allows florists to highlight unique designs. 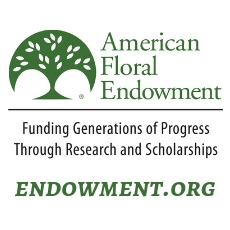 Free to shops for a limited time, it’s the latest effort to help thousands of florist businesses flourish, said Mark Nance, president of 1-800-Flowers.com’s BloomNet and franchising division. 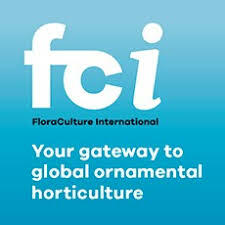 “We are happy to see that many floral start up companies see the value, vibrancy and potential for continued growth in the floral industry that we have experienced for many years,” he said in a statement. BloomNation’s new funding means that four major flower-industry start-ups have raised about $35 million, led by the nearly $18 million behind H.Bloom, according to data from CB Insights. Fellow Los Angeles start-up The Bouqs Co. has raised $7.85 million. They’re tackling an industry worth $7 billion to $10 billion that’s been rocked recently by the recession and unfortunate weather. As a marketplace rather than a retailer, BloomNation should be able to grow quickly, said Erik Rannala, co-founder of Mucker Capital, which invested in the start-up. Gregg Weisstein, BloomNation’s chief operating officer, said the company’s platform has won over designers and florists by allowing them to squeeze out more profit. “We want to be that $1-billion company, and that’s why we have the attention of Andressen Horowitz, because they only invest in $1-billion ideas,” he said. The former business consultant co-founded the company in 2011 with friends Farbod Shoraka and David Daneshgar, a professional poker player at the time. Shoraka, a former investment banker, came up with the idea after hearing about the struggles of his aunt’s floral shop and working on a deal in the industry. The three-person team expanded to 15 with the first round of money. The new money is expected to lead to a doubling of staff, a mobile app and an effort to sell special arrangements for weddings and events. Weisstein added that they have unmatched data about same-day delivery zones, meaning they could someday empower all sorts of local commerce that needs to be hand-delivered.